Special Options for IRender nXt . Season - sets the default season for all plants. Random Rotation - randomly rotates plants. Random Height - randomly scales plants. Normal - use normal rendering mode. Color - No Texture - no textures, normal but use material colors. See: Color Render Mode for more examples. 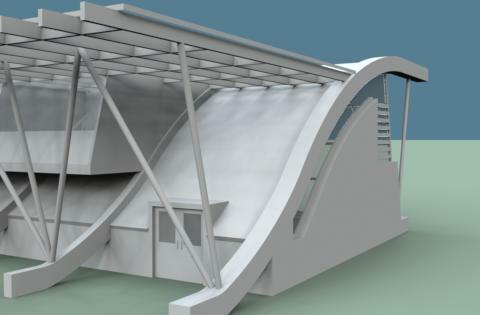 You can use SketchUp Section Planes to cut sections through your IRender nXt model. 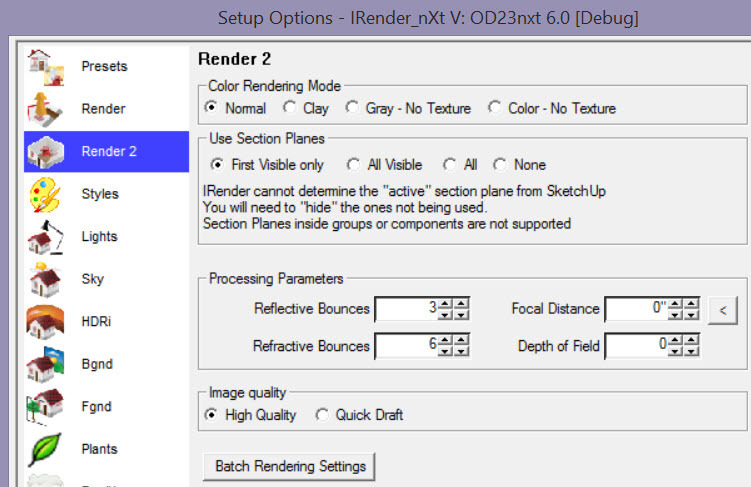 IRender nXt cannot tell which section planes are enabled or disabled. Ordinarily, all section planes which are visible are used to clip the rendering. Create new Materials to match layer names, and assign them to faces in layers.